It was my friend Julia's birthday a few days ago and I knew for awhile that she has wanted an antique doll bed to display some of her little quilts. I've looked at the online auctions and antique malls but could never find anything that wasn't out of my price range. Then I saw a doll bed at a quilt shop that Karen and her husband had made and I knew it was perfect. So I contacted Karen and ordered it and Julia graciously accepted it as her present LOL! That means she LOVED it. Wouldn't you?? I made a mattress and pillow to go along with it. Originally, I was going to use ticking fabric but decided against it and thought Julia might like this better. I think it turned out quite cute and here it is with a couple of my quilts. I'm so sorry, Julia, this year I did not have time or enough energy to make you a quilt to go along with the bed, but maybe next year. Luckily, she has a stack of her own that will work just fine. She's made just about every small quilt I have ever designed so that's more than a few LOL. One of Julia's antique doll quilts. More than a few of her own . . . I LOVE this bed so much, don't you? Karen's husband makes them in black or red, large or small. This is the large one, about 12" x 20". The small bed has a rope mattress. Karen is coming to my retreat in 2 weeks and is bringing some of the doll beds to show everyone. She promised she'd have 2 set aside for me by then - I think I will buy a large black one and a smaller red one. I can't wait to take them home for myself! Karen does not have a website but here's her e-mail address so you can contact her if you'd like a bed for your little quilts too! Here are a few more of Julia's small quilts that didn't fit on the stack on the bed. She's been a busy lady! Wow. That is a really sweet bed. 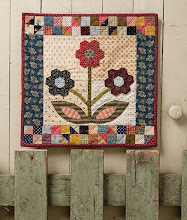 I love all the quilts in this post too. Very precious! What a divine little doll bed!!!! Those small quilts look great on a bed their own size! Lovely work all round, quilt makers and bed maker!!! It makes me want to be a doll! So cute. Wonderful doll bed and lots of wonderful doll quilts. Es la cama más linda que he visto para una muñeca. Me gustaba jugar con muñecas cuando era pequeña, qué lindos recuerdos. 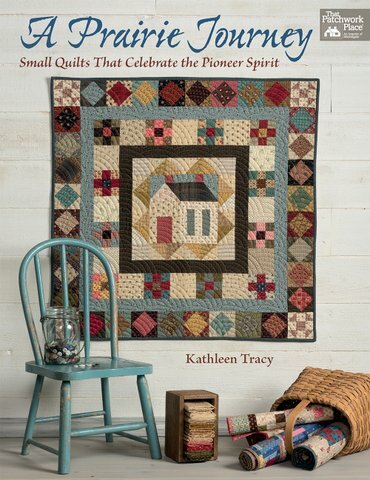 Wonderful gift and I am loving those quilts. I love to haunt garage sales and have found some lovely doll beds at them. Much better than the cheap "toy" doll beds. I love to fix them up and give or sell them. Of course, my favorite doll bed is the one my grandpa made for me 60 years ago. Ooh, I am drooling over the bed and all the little quilts. Just beautiful. Hmmm... two large and one small, three bears... Papa Bear, Mama Bear, and Baby Bear... what fun! 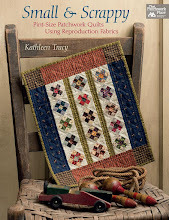 I so enjoyed seeing all the tiny quilts and pretty little doll bed Kathleen. 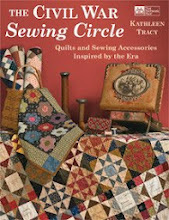 I featured this post on Craft Gossip here: http://quilting.craftgossip.com/?p=11538.